I Wonder: Do You Like It in Pink or Gold? 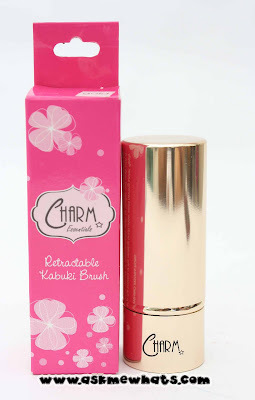 I was beaming with joy when I first got my Charm Luxe Retractable Kabuki, the gorgeous pink case and pink tipped synthetic hair is perfect for pink lovers like myself. I've had this and used this for a good 1.5 years and it's still doing okay! 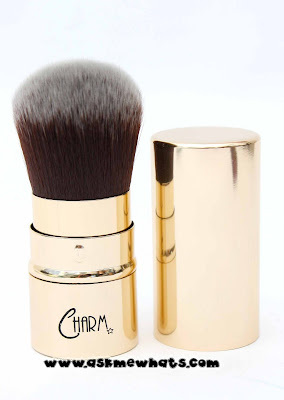 When I went out with my friend to visit the Charm booth at Crossings, Shangri-La Mall, I saw a gleaming gold Charm Retractable Kabuki in Gold!!! I know non-pink lovers out there would hear angels singing at the background! It is indeed something unique and perfect for the Christmas season since me and my "kumare" were just shopping for sparkly gold shoes for her daughters from Payless Shoe Source. The hair of Charm Retractable Kabuki in Gold is the same Vegan, animal-friendly hair like the Pink version! The difference aside from the packaging would be the hair color. 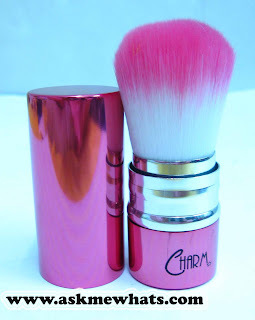 The Retractable Kabuki Brush in Pink has white and pink synthetic hair while the Retractable Kabuki Brush in Gold is in brown with a bit of white! The shade perfectly match the gold exterior! 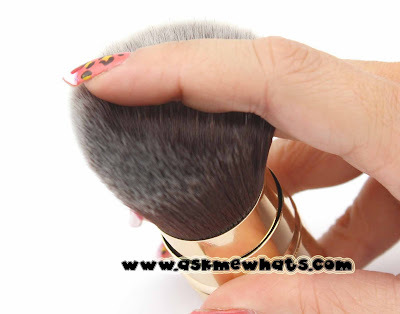 Same function, for powder foundation application, blush application or finishing powder! 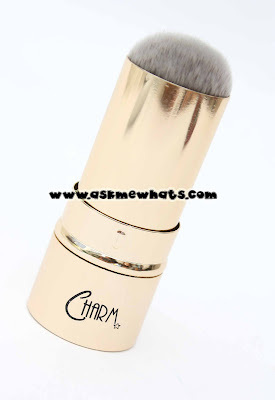 I also like to use this brush to remove fall-outs from my eyeshadow application! "Do You Like it in Pink or Gold?" The Charm Retractable Kabuki in Gold and Pink costs Php580.00 (approx 13.15) to be purchased ONLINE free shipping for orders Php400.00 above (Happy Holiday Promo). Hi! I'm for this gold version... and something that has attracted me for sure is that its hair is synthetic, awesome! @aMz88 Ahhh yeah, now that you mentioned it, does have a Beyonce feel to it! @Antonia Thanks dear for sharing your thoughts! @sweetascherry Quality is no doubt really good! it's just a matter of choice between gold and pink right? @krissy ♥ Which one would you go for? Pink or Gold?